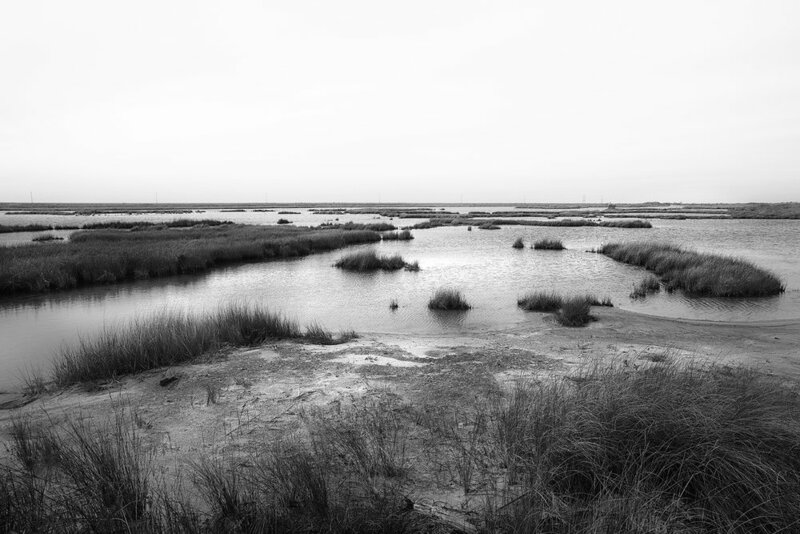 Tangier Island is slowly losing parts of herself to the Chesapeake waters. Carol, a waterwoman who visits her beaches and marshes every day, took me to the Uppards, an area where only remnants of habitation are to be seen. This thoughtful and kind woman is the bridge between a past of hundreds of years of history and an uncertain future. We walked the area where homes and a cemetery once were and where the water line rises a little every day. We are looking at powerful coastal erosion. The ebb and flow of the tides steal the objects of daily life and, sometimes, bring them back to be seen momentarily. Few visit these shores, but Carol walks the beach to look for treasures dating from hundreds of years ago, because the waters expose what the wind and the sand once covered, to a decade ago, when people facing the loss of their homeland had to make the difficult decision to leave. Arrowheads, axes and spearheads, but also, mason jars, dishes, bricks and stones. Carol says “look”, and scoops up something brown. I can’t tell what it is at first, then, I see. It is a human bone. I hold it and I feel my heart in my chest. The wind is increasing, the afternoon is fading. The skiff takes us home. Copyright © 2019 Joanne Teasdale, Women & Water, all rights reserved.